Exciting stuff. Some of the music wasn't a big Star Wars hit for me, but then there were sections that really nailed it, so overall I'd call it a plus. I am always excited for new SW music, especially John Williams' conducted music. It has that SW vibe. Nice. As far as how to do stuff on the ride: rely on luck, or simple tricks and nonsense. Or make it up as you- wait; wrong universe. Rumor has it that the ride testing for the Falcon is proving too difficult for most guests, leading to everyone failing the mission a lot. The problem is that the controls for each seat require a lot of understanding, and they're having trouble explaining what guests are expected to do on the ride. 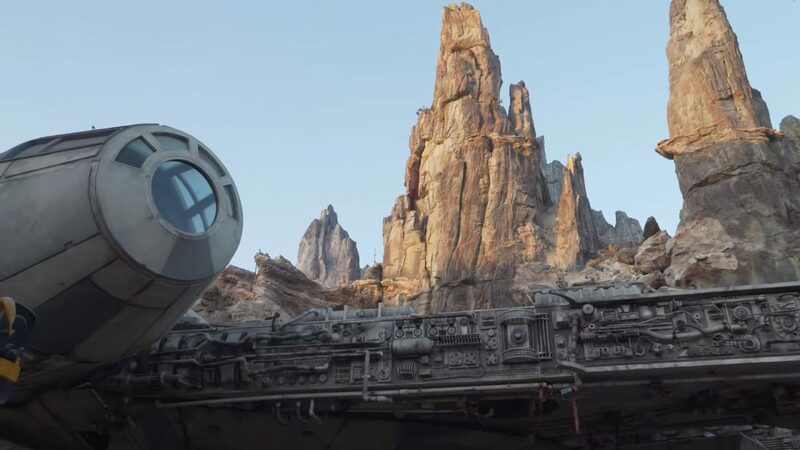 The rumors state that management is considering having guests learn on a website, making the reputation you gain from the ride's success or failure only apply in the cantina rather than the whole land, or dumbing-down the attraction which would defeat a lot of the purpose of the "reputation" system. Wow. Homework and studying to play at a theme park? Who knew?